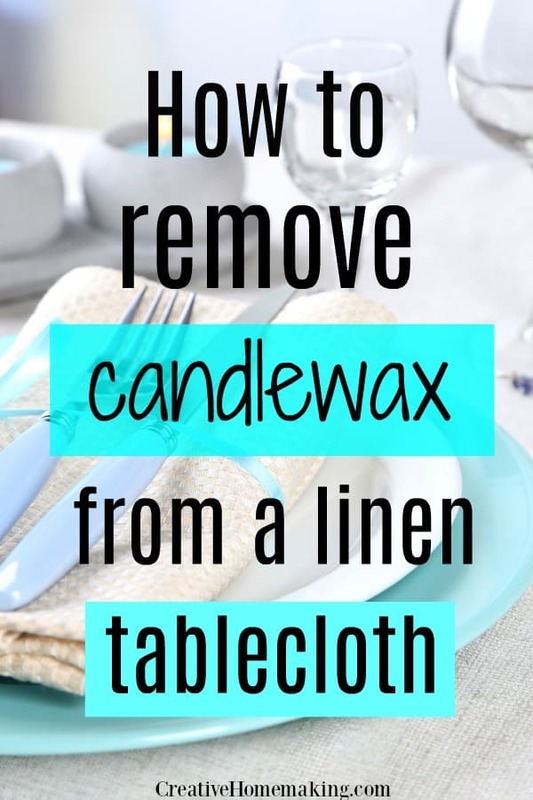 Q: What is the best method to remove candle wax from a tablecloth? A: First pick away whatever pieces you can from the tablecloth. Then put a thin cotton towel, a sheet of tin foil, then another thin towel on your ironing board. The towel that will be “absorbing” the wax should be one that is old and you wouldn’t care about losing. Then heat up the iron to its highest heat, and place the tablecloth wax side down on the top of these towels. The heat will melt the wax, and the pressure of the iron will draw it into the towel. Keep doing this until it is removed. Like this tip? 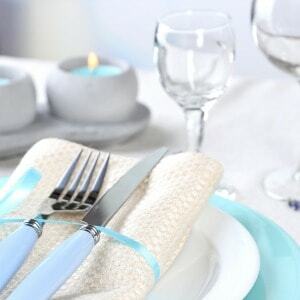 You might also like this tip for removing candlewax from carpet or this tip for removing stains from a linen tablecloth.